Finally, the summer is here and you decided to pay a visit to astonishingly beautiful French Riviera. The whole riviera is composed of many attraction and places to visit including Marseille, Nice, famous celebrity stops like St. Tropez, Cannes or Monaco. While you are visiting there, you have to make sure eating the best food possible. Fortunately, it is not a hard thing to eat well in the French Riviera. 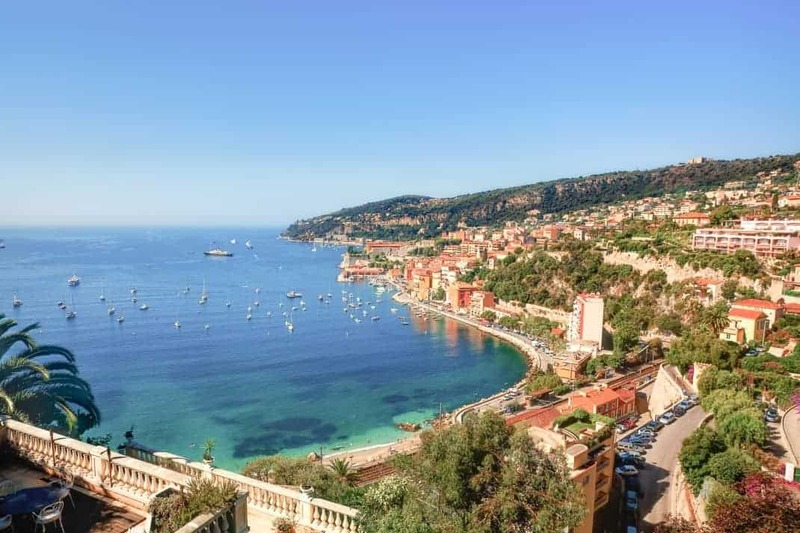 Here is our guide of where to eat in French Riviera. You can be sure that you will be eating the best dishes from French Riviera! Being a seaside region makes the seafood the base of your cuisine for sure and it is no different here too. In the Riviera, it is possible to see many kinds of fishes according to the season, shellfish, mollusk, and oysters! Fisherman of this area actually are the creators of Riviera cuisine. The food is comforting food at its best, you will feel a warm and soothing feeling when you taste the food here. In other words, you will feel like you would be eating a home-cooked meal. The Riviera offers you plenty of seafood dishes, a very famous fish stew – bouillabaisse and also the world-wide known dish ratatouille. However, make sure you enjoy the local bites and snack food here like socca or pissaladiere – you’ll be amazed how good they are. The Riviera will open new doors into your taste world, bon apétit! Thanks to the famous animation movie, one of the most famous French dishes is Ratatouille. The dish is actually was a staple for country folk. Mostly the local variety of vegetables were used. It is more or less a vegetable stew made with eggplant, zucchini, tomatoes and sometimes with green or red peppers and onion. In the region, it is known as ratatouia as well. It is a very earthy dish but very vibrant and fulfilling at the same time. Le Rossettisserie is known for its roasted chicken and beef with ratatouille, you won’t regret having the second plate here. Nice is also known for its basil – which is one of the main ingredients of Pistou soup. Being very close to Genova where is also famous for its basil and pesto; two cities share a common ingredient. However, unlike Pesto Genovese, Provençal Pistou only contains basil, olive oil, and garlic. So there is no hard cheese or pine nuts in the recipe. The broth of the soup may have any kind of vegetable that you want to put in. Generally, the recipe calls for white beans, tomato, carrots, potato and a pasta of your choice for the soup. You can simply adapt the recipe according to your wish but a whole spoonful of pistou on top of the soup is a must here! Pistou based dishes are definitely a must at Le Merenda, a great place to enjoy local cuisine. Fougasse is a type of bread actually not a dish. However, being a part of Provence it wouldn’t be rightful to miss this traditional taste of the region. Typically, the dough is shaped into the lattice, it can be a leaf or a wheat stalk. The shaping makes it possible to pull the bread into smaller pieces. Fougasse contains olive chunks and mixture of fresh herbs according to the season. In Monaco, Fougasse is rather sweet and topped with almonds and nuts. Boulangerie Veziano is an old French style bakery which offers many other types of bread as well. Grab a fougasse here if you want to have a traditional touch. The salad with Nice style – another very famous dish from Nice which is known all over the world. Even though the ingredients seem quite distant from each other, the whole mixture of them creates a unique balance. Salad Niçoise is a mixture of tomato, tuna or anchovies, olive, green French beans and a boiled egg – which should be the only cooked ingredient in the salad. The other ingredients are simply referred to as crudités – they should be raw. If you are having Pan Bagnat -which is a sandwich filled with salad Niçoise you can also taste some vinegar inside along with olive oil. Lou Balico serves both of the specialties, salad, and the pan bagnat. The restaurant is famous for real Niçoise cuisine so you can’t go wrong! Obviously, Socca is not the best-looking food in Provence. However, it might be your favorite street food if you visit Nice. Socca is a pancake-like dish, which uses chickpea as the main ingredient. The batter is thicker than regular pancakes and it should be baked over a fire. This cooking technique gives a nice and brownish crust to the dish itself. It is the ultimate snack food in Nice as most probably you won’t find anywhere else in France. Eat Socca from Chez Teresa, an old-time favorite of both locals and travelers in the city. If there is one another dish from the French Riviera that has been known all over the world: It’s Bouillabaisse. Bouillabaisse was actually first made by fishmongers who were simply trying to use up the fish that they couldn’t sell as a fish stew. The dish can be seen all over the seaside location however, the origin is considered to be Marseille. There is not a strict rule for which fish to use in Bouillabaisse but the recipes most call for local Mediterranean fish such as racasse, conger, and grondin. The rich seafood broth served separately then fish, boiled potatoes and with a side of rouille – which is a garlic mayonnaise seasoned with saffron. You have to be in good hands if you want to enjoy Bouillabaisse – Provençal fish stew, taste it at Chez Fonfon – a famous local restaurant in Marseille. Tarte Tropezienne has an amazing story – that only if there would be a film about it! A polish pastry chef who continued his work life in St. Tropez created a dessert from classic French brioche. He simply split the brioche horizontally and filled with vanilla and lemon cream then topped with hard sugar crystals. Apparently, when Bridget Bardot came to town to shoot a movie, she tasted the dessert and fell in love with it. Then the popularity of the dessert grew so amazingly that it has become a part of cuisine there. Of course, you should try this dish in the right place which is at Saint Tropez. You don’t have look a lot to find the best place to eat it, as the pastry shop also has the same name as the dessert. Tapenade is one the easiest recipes from Provence yet very popular and seen as a staple there. The base of a tapenade is olive and capers and in the end, you will have a spread of that mixture. The essential ingredients are olive, capers, olive oil and also lemon juice. Of course, nowadays it possible to see many different ingredients in tapenade and they are available everywhere including the regular supermarkets. The best way to enjoy it is over a thin cracker or a thinly sliced and toasted sourdough bread. There isn’t any place specialized on tapenade as it is rather consumed during happy hour or so. The best would be to try at the open air market and buy a jar for yourself. Make sure you take a good walk to find the best at Cours Saleya Flower and Vegetable Market! Another fast and snack like food from the Riviera is Pissaladiere. Just like Socca, Pissaladiere is meant to be eaten quickly and while standing up. The dish is also super simple, most of the time it is mixed with a thin pizza but actually not quite a pizza. The dough of Pissaladiere is rather flaky and buttery than a pizza dough. The topping is a generous amount of onion along with anchovies and black olives. It is usually made in big rectangles and then cut into squares. You are warned, this is quite addictive! Try Pissaladiere at Chez Pipo and maybe give a chance to other snack food as well! Daube is actually a stew, the Provençal version of the stew is known to contain herb de Provence, some Niçoise olives, wine, garlic, a variety of vegetables and also served along with rice – traditionally. This recipe calls for a home-style cooking as it needs both a long marinating time and cooking time. Another version called a l’Avignonnaise calls for lamb meat and also for white wine. It is possible to see a different style of Daube in every place as ingredients and cooking style changes. Try it at La Cantine de Lulu, small but a gourmet eatery that focuses on traditional Provençal cuisine.